Wolfgang Lippert was born on 14 September 1914 at Fraureuth in the Werdau region of Sachsen. He joined the Luftwaffe and, following fighter pilot training, was posted to I./JG 134 “Horst Wessel”.  On 15 March 1937, Oberleutnant Lippert was transferred, as a founding member, to I./JG 53 based at Wiesbaden-Erbenheim. Lippert gained his first aerial victories during the Spanish Civil War flying with the Condor Legion. Leutnant Lippert was assigned to 3. Staffel of J 88. He amassed five victories in this conflict between the middle of 1938 and March 1939, receiving the award of the Spanienkreuz in Gold mit Schwerten. 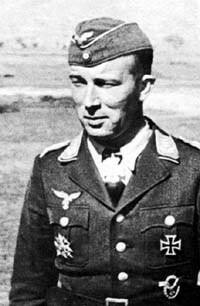 Following his return to Germany, Lippert was appointed Staffelkapitän of 3./JG 53 on 1 May 1939. He led the unit during the French campaign. He claimed his first victory of World War 2 on 30 September 1939, when he shot down a French Morane fighter in the Wissembourg area. Hauptmann Lippert was appointed Gruppenkommandeur of II./JG 27 on 4 September 1940. He gained five victories with the unit over England during the Battle of Britain, all RAF fighters. He was awarded the Ritterkreuz on 24 September after 13 victories gained in World War 2. Lippert was to lead II./JG 27 in the invasion of Russia, after a brief sojourn in the Balkans. Lippert had compiled 25 victories, including his Spanish Civil War victories, by the time the Gruppe was relocated to North Africa at the end of September 1941. He claimed two RAF P-40 fighters and a Wellington twin-engine bomber shot down on 22 November to record his 27th through 29th victories. On 23 November 1941, after shooting down a RAF Hurricane fighter, Lippert’s Bf 109 F-4 (W.Nr. 8469) was hit in the engine while engaged with Curtiss P-40s and Blenheim bombers. In baling out of his stricken aircraft, he broke both his legs when he struck the vertical stabiliser. He landed behind British lines, was captured and taken to a hospital in Egypt. Both legs became infected and required amputation. He died from an embolism after the operation without regaining consciousness. Some sources indicate that Lippert was shot down by the Australian ace Clive Caldwell (28.5 confirmed, 6 probable and 15 damaged victories) of 250 Sqn, RAF. Wolfgang Lippert was credited with 30 victories. His score included five victories gained during the Spanish Civil War and four victories claimed over the Eastern front.